The film, which also stars Mohammad Zeeshan Ayyub, is slated for a Christmas 2018 release. Mumbai: Shah Rukh Khan, who last was seen in the successful 'Raees,' has commenced shoot on his next film, the untitled Aanand L Rai directorial. 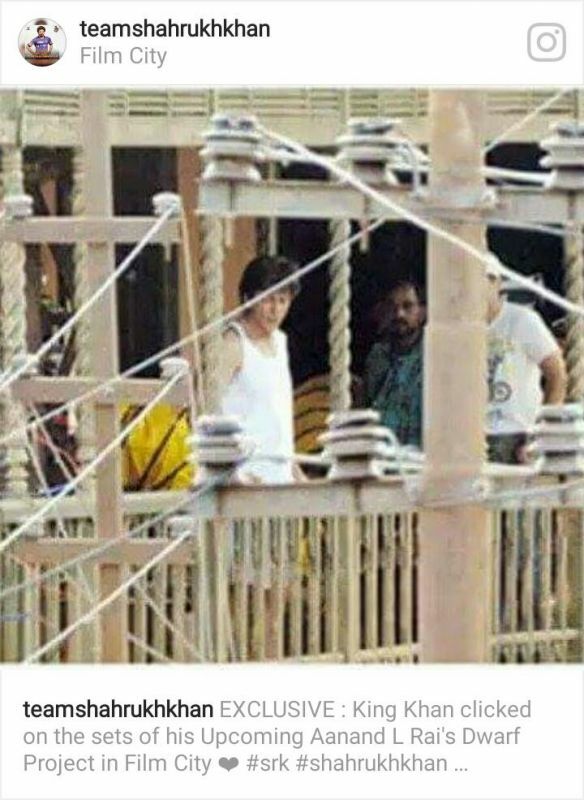 The actor began shoot in Mumbai Film City, and was snapped wearing a white vest. 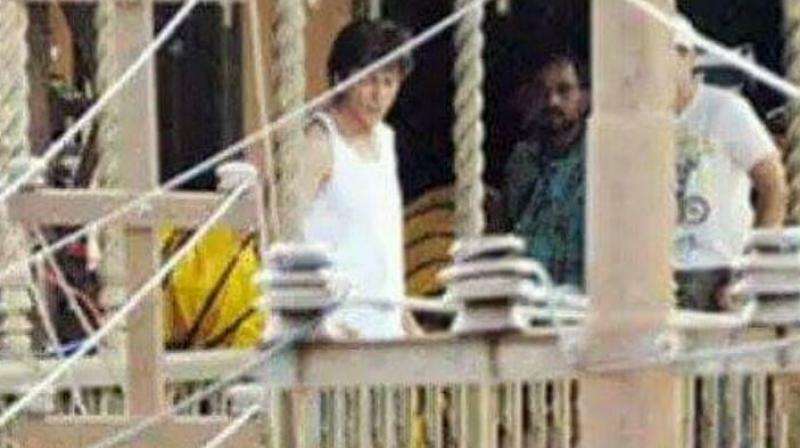 Shah Rukh Khan will be seen playing a dwarf in the film for the very first time. Speaking about it, Aanand had said earlier, “When Kamal Haasan played the dwarf in Appu Raja, he had only his acting skills to rely on. Today, we’ve a lot of technical advancements at our disposal. We can experiment and innovate and make our character as credible as humanly possible." The film, though, is yet to officially announce the leading lady of the film, Katrina Kaif has been long associated with. There have been rumours that the likes of Deepika Padukone, Alia Bhatt and Anushka Sharma had turned down the role. Also starring Mohammad Zeeshan Ayyub, the film is slated for a Christmas 2018 release. ■Alia Bhatt rejects Aanand L Rai film, explains date issues to SRK at Mannat?